St Louis Pump Repair | Claypool Pump & Machinery Co., Inc.
For your commercial and industrial St Louis pump repair needs, Claypool Pump & Machinery offers you a our in-house repair services that include a full machine shop, lathes, presses, and mounting pumps. We repair and fix fire pumps, domestic water pumps, and industrial pumps for municipal, industrial and HVAC markets. While we specialize in repairing pumps of all types and brands, Claypool Pump & Machinery’s staff is experienced in diagnosing and troubleshooting fire pump infrastructure. Typically our standard St Louis pump repairs can be made within three to five days (depending on availability of parts). We offer in-house rush repair services however we recommend calling us to determine the scope of your pump repair emergency and the time frame for a rush service order. Pump overhauls and pump evaluations (even if your pump is still in working order, we can help you to determine if it makes sense to overhaul it). When you come to Claypool Pump & Machinery’s for St Louis pump repair, you’ll be provided with an estimate, usually within as little as one to three days. Payment can be made by check or Visa/MasterCard and customers who qualify may pay on account. 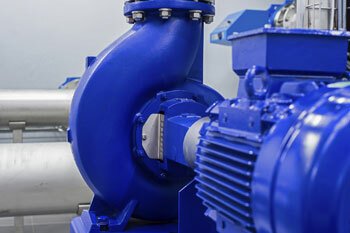 If your pump can’t be repaired or if we find that it doesn’t make financial sense to invest more into it, don’t forget that we’re an authorized St Louis pump distributor for major pump brands and as a leader in St Louis pump sales, we can provide alternative pump solutions to replace it, tailored to your specific pumping application. Copyright © 2014 Claypool Pump & Machinery Co., Inc. All Rights Reserved - A St Louis, Missouri Pump Sales & Repair Company. Web Design St Louis from IQComputing.